LIFE IS BEAUTIFUL: 1810092. Tuesday, 9th OCTOBER Bl John Henry Newman, priest; St Denis and Companions, martyrs. 1810092. Tuesday, 9th OCTOBER Bl John Henry Newman, priest; St Denis and Companions, martyrs. Bl John Henry Newman, priest; St Denis and Companions, martyrs. A woman named Martha received him into her house. And she had a sister called Mary, who sat at the Lord's feet and listened to his teaching. But Martha was distracted with much serving; and she went to him and said, "Lord, do you not care that my sister has left me to serve alone? Tell her then to help me." But the Lord answered her, "Martha, Martha, you are anxious and troubled about many things; one thing is needful. Mary has chosen the good portion, which shall not be taken away from her." You, Lord, knew that house very well. Bethany was the place where You could rest and be among friends. That day there were more guests in the house than usual and You were teaching them. But Martha was a bit anxious: so many people, so much to do, people sitting on the floor, plates and cups and food all over the place... In actual fact, she was doing something good and even necessary. 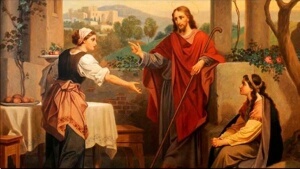 But You praised Mary - the one who apparently wasn't doing anything - and not Martha. Serving You is a good thing. But Martha was missing something better. The choice was not between a 'good' thing and a 'bad' thing, but between a 'good thing'... and a 'better' one. To listen to You is the best we can do 'for You'. It would have been better for Martha to prepare everything in advance and so, when You arrived, she could spend the rest of the evening just listening to You and enjoying Your presence: in prayer. When we go to church something of this sort can happen. Some people can't see the wood for the trees. A priest asked some First Holy Communion children, "What do you like most about the church?" "The songs," said one. "Your stories in the homily" said another. "The beautiful pictures, that lovely chapel, the flowers, praying together..." added the others. A little girl finished the brainstorming session with the one word the priest was waiting for: "Jesus!" Some people, like Martha, could miss a conversation with God when going to church, getting distracted with all the other things that surround God. Let's not miss the point. Let's not miss God. 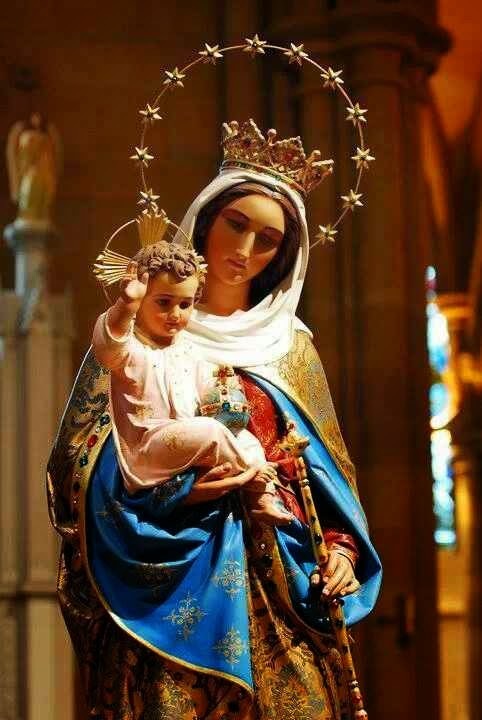 Holy Mary, Mother of Jesus and my Mother, how many hours you spent listening to your Son... teach me to do the same!